The fourth floor of the Mill has a sign that says “You made it to Texas”. We don’t know why but the story is that it was hot there too. It’s also true that the oil fields moved from Pennsylvania to Texas. 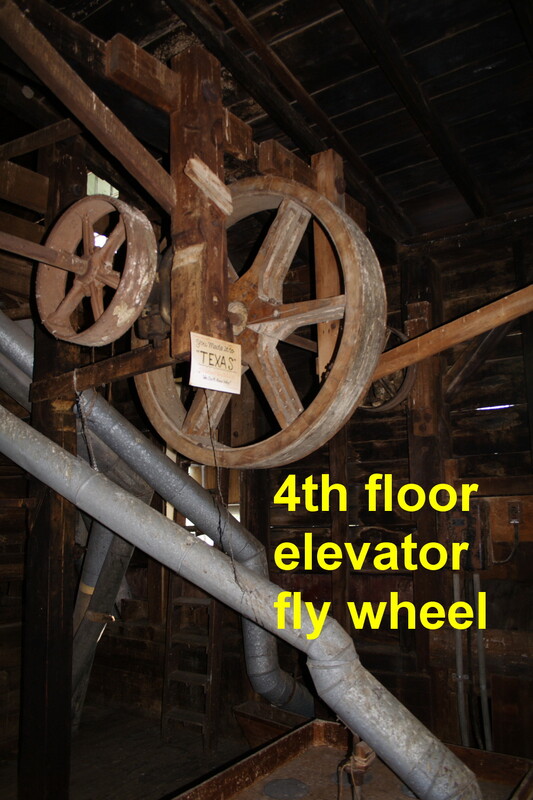 The big flywheel was originally driven by belts from the basement and later by an electric motor in Texas. It in turn drives a chain that drives the grain elevators. The small selector pictured shows how the larger one on the fifth floor works. 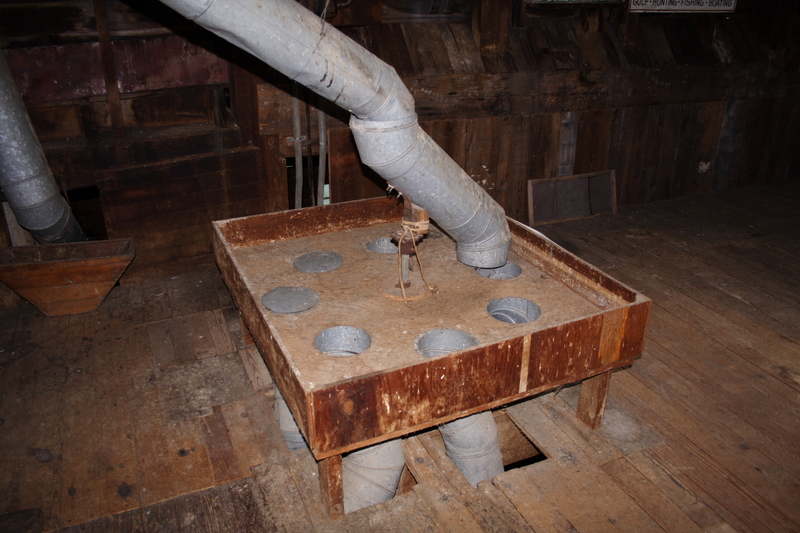 The turn wheel on the first floor turns the selector in Texas and selects the chute. There are many of these smaller selectors all over the mill.